The Ink Trap: New Digis from SCACD!!! Hey, all! Welcome back! I have something special for you today. I was honored to be invited to participate at SCACD this week to showcase new images created by Carmen Medlin for Susana's Custom Art and Card Design. Here's a bit of info for ya! SCACD has released 15 NEW Digital Images designed by Carmen Medlin for SCACD. There is a bit of something for everyone in this release. Some fantasy, steampunk, wonderland, curiosities and animals to love. You can find just the right image for that creative spark of yours and let your inner artist out to play. You're intrigued, I can tell! Follow this link and you'll get to peruse ALL of the new designs. They are spectacular! Click here and take a look! Feel free to hang out awhile and check out all of the wonderful stuff throughout the site! Here another link to get you started. 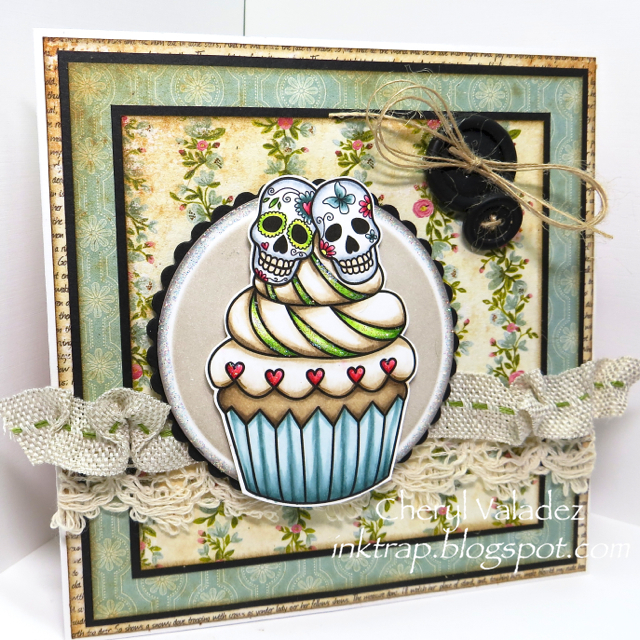 I am using Skullie Cup Cake on my card and I am in love with this image! I plan on using it on EVERYTHING worth celebrating such as birthdays, weddings, anniversaries, and of course Dia de los Muertos. Thanks for stopping by today! Until next time, stay crafty! 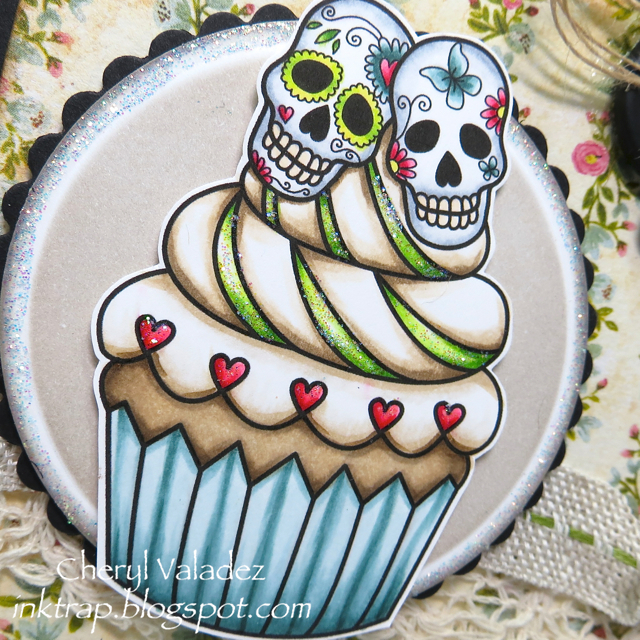 Love all the cool uses for this image you note and how much Dia de Los Goodness your card art oozes <3 Thanks for sharing your talent! So cute!! I love how you used the sparkles to accent bits, it looks great!! Love this cute image and your card design! Super adorable! !